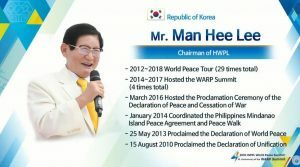 Do you know why people say ‘Mr.Man Hee Lee is a messenger of peace’? Because he has the definite answer to peace. He is a Korean War veteran, knows the horrors of war than a person ever knew. In his biography, “I struggled to survive. The sounds of guns, cannons, jets, and bombs did not stop for one second. The heavens, the earth, and my heart trembled, and the sky was filled with smoke.” So the Chairman Lee is running really hard for Peace on the Korean Peninsula. 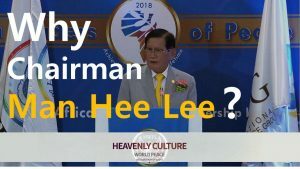 Also, he is the chairman of Heavenly Culture, World Peace and Restoration of Light (HWPL). 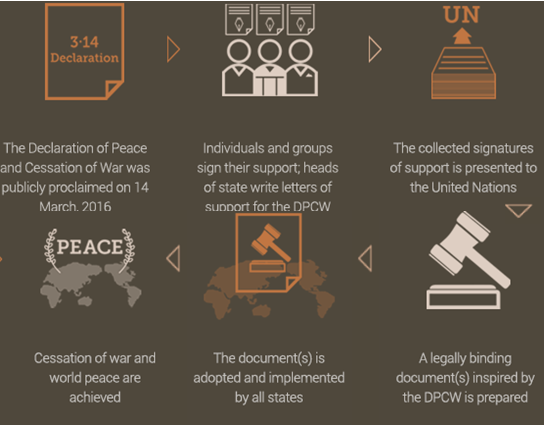 HWPL is an international peace nonprofit organization registered with the United Nations Department of Public Information (DPI) and the United Nations Economic and Social Council (ECOSOC). I will tell you the coolest Man Hee Lee Quotes. 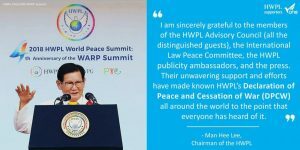 In 2018 HWPL World Peace WARP Summit, Mr. Man Hee Lee said strongly that “I am sincerely grateful to the members of the HWPL Advisory Council (all the distinguished guests), the International Law Peace Committee, the HWPL publicity ambassadors, and the press. 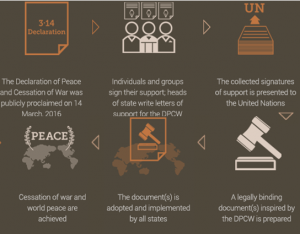 Their unwavering support and efforts have made known HWPL’s Declaration of Peace and Cessation of War (DPCW) all around the world to the point that everyone has heard of it. After this truthful speech, everyone gave a huge standing ovation!!! 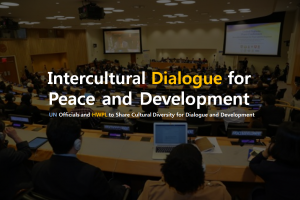 ‘Intercultural Dialogue for Peace and Development‘ Held at UN Headquarters to Create a Foundation of Understanding and Tolerance. 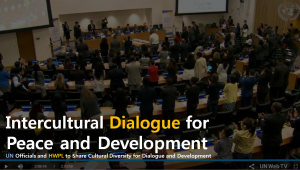 In commemoration of ‘2018 World Day for Cultural Diversity for Dialogue and Development’, this dialogue was attended by heads of the social organizations, religious leaders, women groups, youth, and media. Around 145 representative officials to the United Nations of the respective countries gathered to hold a dialogue on the agenda of peace and development at UN Headquarters in New York on May 31. Canada, Austria, Colombia, the Republic of Senegal, Korea and etc. It’s like the world gathered in one place. What is the necessity of world? How does the world go now? The necessity of the measure arises for integrating cultural diversity into development frameworks and policies. According to the trend of world, this conference aimed to reinforce international cooperation to ensure intercultural dialogue as a foundation for the effective exercise of universal human rights. In fact, many of the leaders told their experiences. There is no path to peace. Peace is the path. DPCW is the path! 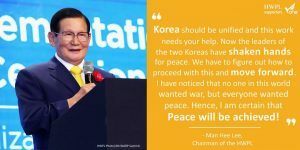 Attended as a special invitee, Chairman Man Hee Lee of HWPL, an international peace NGO, said “I’ve visited all around the world and had a number of agreements with the former and current presidents, the chief justices, and members of the National Assembly to end the war together. All leaders in each country should sign the agreement for the international law to achieve peace if they love the country and the people. To do this, the United Nations must work together to accomplish the task of peace with its spirit of peace at its inception.” After this truthful speech, everyone gave a huge standing ovation!!! I think it’s because everyone wants peace!